It’s tuesday evening and having just returned from the PTA meeting at my daughters school, I was excited to read an email from Adele, who is the FitKid franchisee in the Grimsby and surrounding area. It’s comments like this that make all the hard work involved with running FitKid worthwhile. Seeing the excitement on the children’s faces when they attend classes is priceless and I hope over the coming months and years we can assist more children to develop positive attitudes to physical activity which is fun and rewarding. To find out more about Adele’s activities, please email her at adele@fitkid.co.uk. If you would like to run FitKid in your community, please contact me at nicky@fitkid.co.uk for more details. What an achievement, Edward Burden who attend’s Longfleet School in Poole, Dorset has now achieved his 100 hours certificate of participation at FitKid classes. 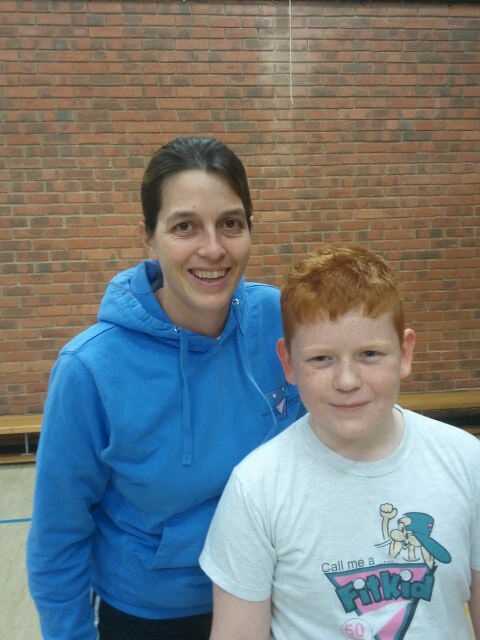 Edward who is 10 and has been attending FitKid for the last 5 years was very excited to achieve the award. FitKid is a fun fitness class for children and encourages them to get active while having fun using their muscles and bones at the same time as learning important key skills for sport. Edward commented “ I started FitKid when I was 5 years old in reception and still enjoy attending the weekly sessions. The games we play are really fun. The game I enjoy most is ‘River Bank’, where you either jump forward or backward on command over a line. Some of the other games we play are ‘Dodge Ball’, Sharks & Life Guards’ and ‘Domes & Dishes’. When we play the games, we either run, walk, skip, jump, hop etc. All of this stretches our muscles and can be very exhausting. During each session all the exercise gives me a happy feeling. If I have had a busy day at school going to FitKid makes me feel relaxed. I think Fit Kid is a really good club and all the children that decide to do it will really enjoy it. I am not looking forward to when I have to give it up when I move up to Secondary School. I personally was very excited to hear Jo had rewarded Edward with his 100 hour Certificate and badge. “It’s such a fantastic commitment by Edward, he has dedicated an hour after school for 100 weeks to achieve the award. He is an inspiration to other children and many now can’t wait to achieve the same award”.